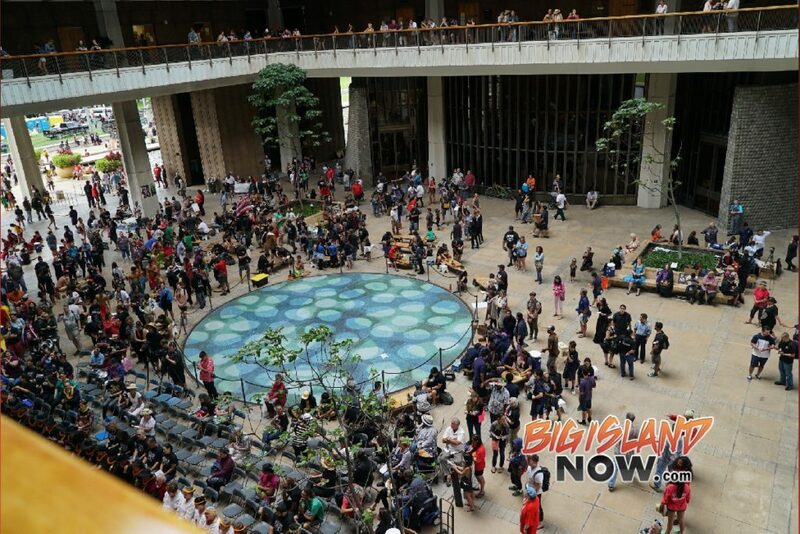 On Wednesday, Jan. 17, 2018, the Hawai‘i State Senate convened the second year of the 29th Legislative Biennium Session with a renewed commitment to protect and sustain the people of Hawai‘i and its natural resources and to strengthen communities through effective legislation. The opening session commenced with an invocation by Pastor Matt Higa from New Hope Kaua‘i. The National Anthem and Hawai‘i Pono‘i was performed by Ms. Nalani Brun. 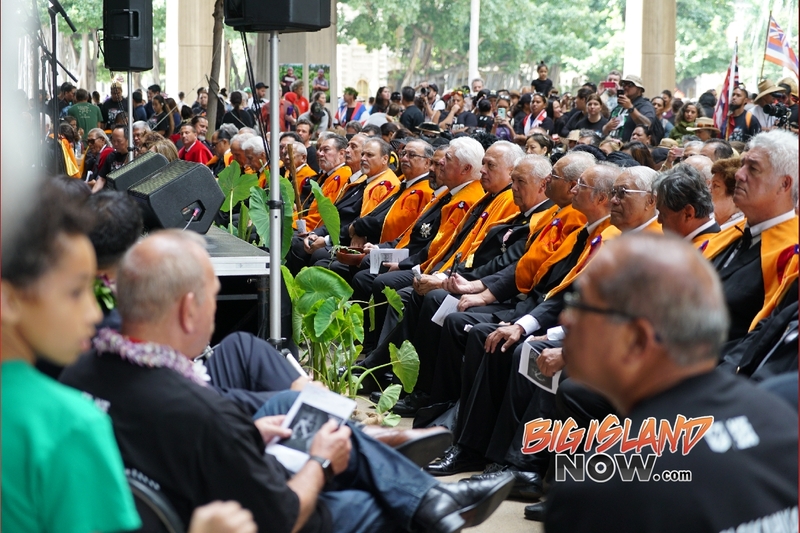 Among the honored guests in the Senate Chamber were members of the Fukuoka Prefectural Assembly, Governor David Ige, mayors and council members from the neighbor islands. Senate President Ronald D. Kouchi opened the session with remarks on issues where he hopes the Senate will continue to provide leadership and pass meaningful legislation. 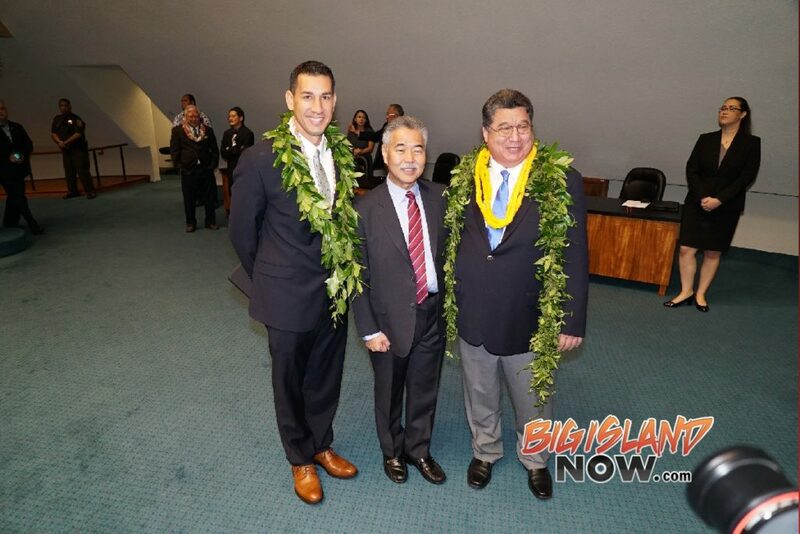 Senate President Kouchi encouraged Senators to continue to find ways to address the challenges of homelessness and follow through on the commitment to build affordable housing. With the state facing possible cuts of $12 million in federal aid, he asked Senators to remember to protect our kūpuna and to ensure they are providing adequate health services for each and every resident of the state. He also encouraged Senators to continue to grow the economy to maintain funding for much needed services. “Creating opportunities for each and every child in this state to close the income gap and to be able to reach for the stars and realize their dreams,” is the reason Senate President Kouchi emphasized education as a priority for the Senate, starting with providing funding to allow better training for teachers to give students the best education available. He also wants to see an expansion of the Early College program, which brings university instructors to local high schools. Students are able to earn college credits while in high school, giving them the confidence to pursue higher learning and helping defray the cost of college, which is “a critical stepping stone to allow our children to find that pathway to success,” said Senate President Kouchi. Photo courtesy Hawai‘i Senate Majority. Reflecting on the events of Saturday’s false ballistic missile threat, President Kouchi told Senators “we found out how connected we are.” Just as in the moments when there was fear and the foremost thought was expressing love and appreciation for those closest to us, he encouraged Senators “to express love and hope and always be conscious of what you say.” He also vowed to work with the administration to determine the best practices and what is needed to ensure it does not happen again and how, as legislators, they can carry out their responsibilities to guarantee that each citizen and guest of the state will be safe. 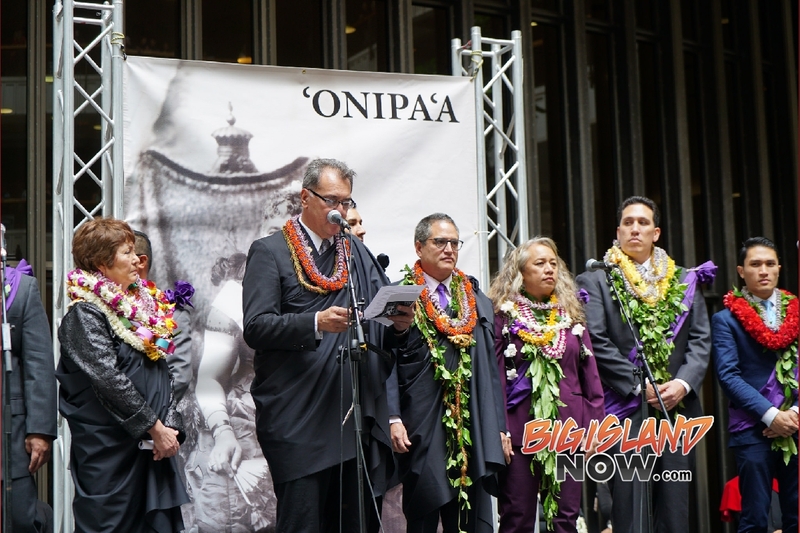 Kouchi also assured the Governor that all 25 State Senators are committed to working on legislation that provide the best results for the people of Hawai‘i. The Senate has committed to continue to fortify the state’s position as a leader in sustainability and climate change mitigation by working to implement the 17 United Nations Sustainable Development Goals at the state level. The 17 UN Sustainable Development Goals is a voluntary international call for action to end poverty, protect the planet and ensure that all people enjoy peace and prosperity. The 17 Sustainable Development Goals of the 2018 Senate Legislative Program are posted on the Hawai‘i Senate Majority website.